He (she?) 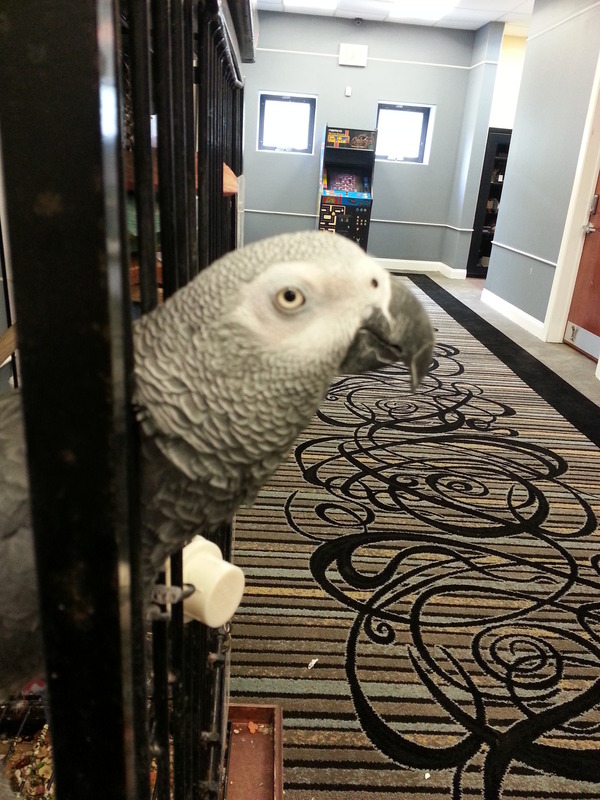 is an African Grey parrot of the Congo subspecies. 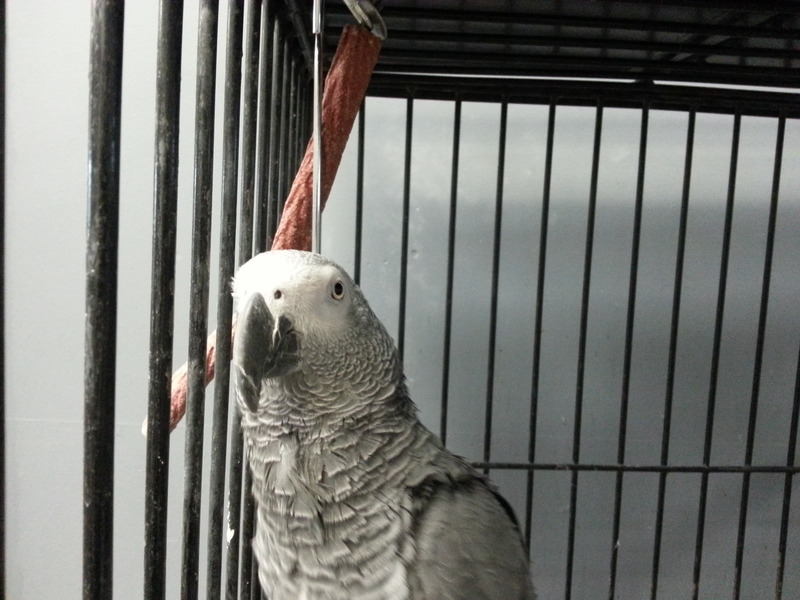 He has light grey feathers, a beautiful bright red tail, and a dark black beak. Watch your hands around him he loves to nip at fingers, but don’t worry, it doesn’t hurt. Currently, we are in the process of attempting to teach him our (in)famous radio jingle. A CD player next to his enclosure plays our jingle for a few hours every day. We’re hoping to have a video of that soon! In the meantime this gorgeous animal needs a name. Leave us your thought in the comments please! 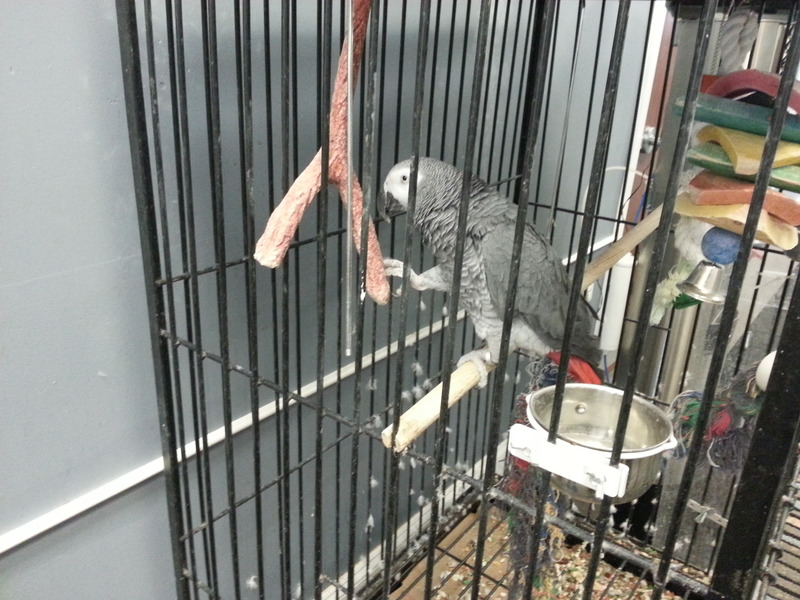 Like Kars4Kids Facebook to keep abreast of our parrot’s activities as well as all Kars4Kids activities. He/she is a beautiful bird. Please, please, PLEASE don’t teach him that awful jingle or any of mind numbing, make-your-ears-bleed, nails on blackboard jingles your charity bombard the airwaves with. Not only cruelty to humans, but just plain cruelty to such an innocent animal.